Who doesn't love a good ghost story? Well, in Florida, there's a whole lot of them! From hospitals and asylums, to cemeteries, schools, theaters, restaurants, parks, bridges, and even roads, there's an endless amount of places throughout the state that are said to have some ghostly spirits lingering. Some of these creepy spots are located in the biggest of cities that everyone knows about, and others in small towns that only locals may know of. Take a peek below to check out our Top 10 Haunted Places in the state of Florida! 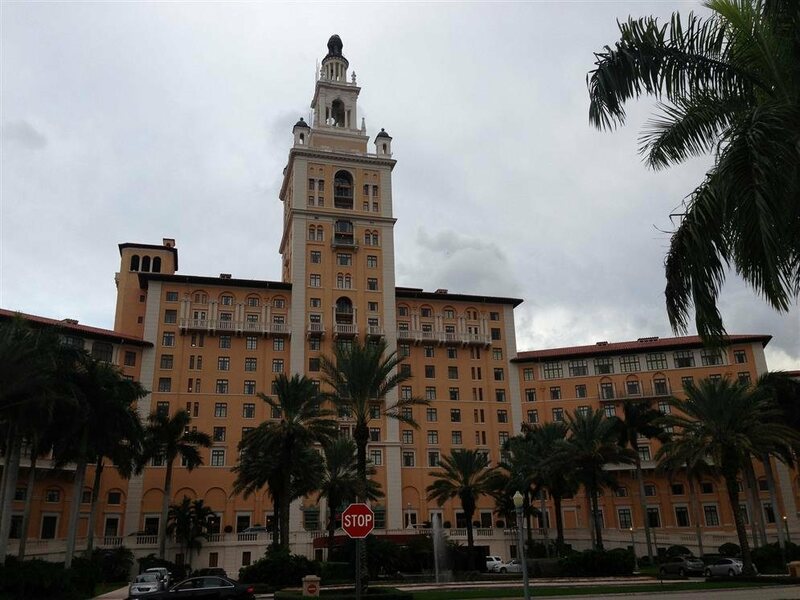 Located on Anastasia Avenue in Coral Gables, The Miami Biltmore Hotel is a four-star hotel that is nearby to the Miami Airport and dates back to the 1920s. It was added to the National Registry of Historic Places in September of 1972 and is believed to have some ghost stories attached to it. 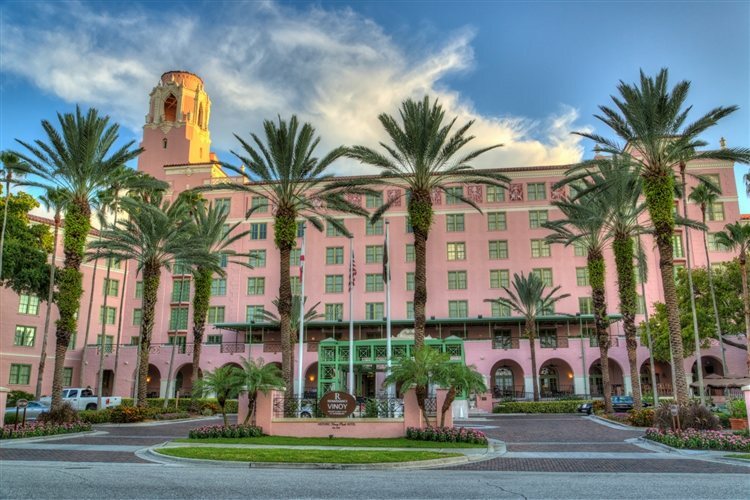 The 13th floor of the hotel is rumored to be haunted by World War II-era ghostly soldiers who recovered here during the war when the hotel operated as a hospital. Eerie occurrences in the building include eerie noises and unexplained lights popping in and out view. The ghost of Fatty Walsh, a mobster who was killed in the hotel during a gambling dispute, is also said to reside at the hotel in spirit. His ghost is said to open doors for waitresses who are carrying trays in and out of the restaurant and he likes to write messages on mirrors, steal lampshades and turn the lights on and off while guests are on the elevator. This family owned restaurant and bar in Rockledge was originally called Jack's Tavern and opened its doors in 1933. The restaurant has been owned by a number of different people over the years and has also gone by the names: Cooney's Tavern, The Mad Duchess, The Loose Caboose, Sparrow Hawk and Gentleman Jim's. 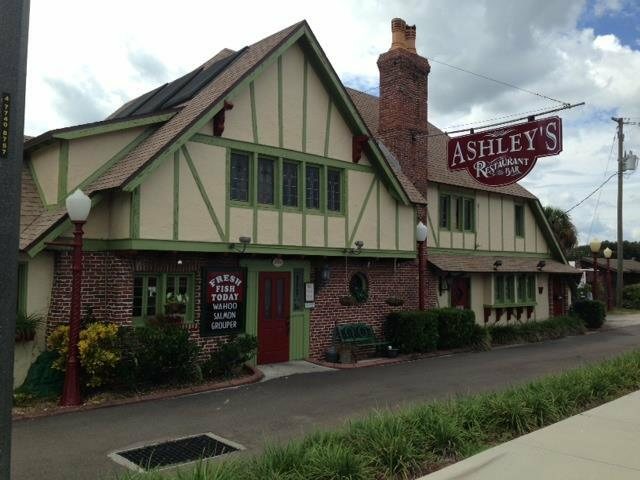 It became Ashley's Restaurant in 1985 and it is said to be the setting of some paranormal happenings and has become quite known for them as well. So, the story goes... in 1934, a 19 year old girl, Ethel Allen's body was found on the shores of the Indian River nearby. She was brutally murdered and has been a regular of Jack's Tavern, and it was even one of the very last places she was seen alive. According to Ashley's official website, at least one of the psychics who has investigated the establishment has claimed to have had a vision of Ethel's murder taking place inside the restaurant. The murder is believed to be the main source of the hauntings that take place here, and they mostly occur in the ladies bathroom. A manager claimed to see the feet of a woman dressed in 1930s era shoes in the next stall, only to exit her own stall to find the other one was empty. Visitors have also reported seeing the apparition of a young woman in the bathroom mirror. Along with the bathroom being eerie, some have experienced the feeling of being pushed by an invisible force while walking up or down the stairs. Lights have also been seen flickering on and off during the night, alarms go off without explanation and glasses and dishes break on their own. 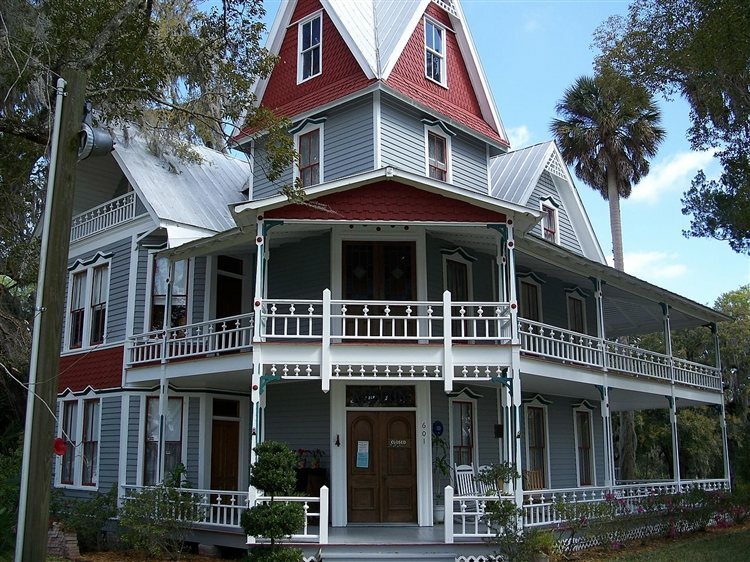 This residence in Brooksville now operates as the Hernando Heritage Museum and has a number of ghost stories surrounding it. A popular hot spot in Florida, The May-Stringer House is a historic location that boasts four floors, fourteen rooms and some ghosts, too! A contractor, John L. May purchased the land in the 1850s and built the home for his family, staying there until he died of tuberculosis. His wife, Marena stayed in the home throughout the civil and eventually remarried to a Confederate hero Frank Saxon. Marena passed away while giving birth to the couple's child, Jessie Mae, who survived the birth but died three years later of unknown causes. And according to Haunted Travels USA, "Marena and Jessie were buried on the property, as were John May and the infant son of Frank and Marena, a detail which fuels many rumors about the May-Stringer haunting.After Marena died, Frank Saxon sold the home, and the property eventually made its way to Dr. Sheldon Stringer." The doctor used the home for the location of his practice as well, and the family remained in the home until death. After the death of the Stringer's, the house was passed from owner to owner, until The Hernando Historical Museum Association acquired the mansion in 1980 and began extensive restoration work. The destination is believed to be haunted and witnesses have claimed to see mists and eerie shadows, feel cold spots, glowing orbs of light and the sounds of a child crying. 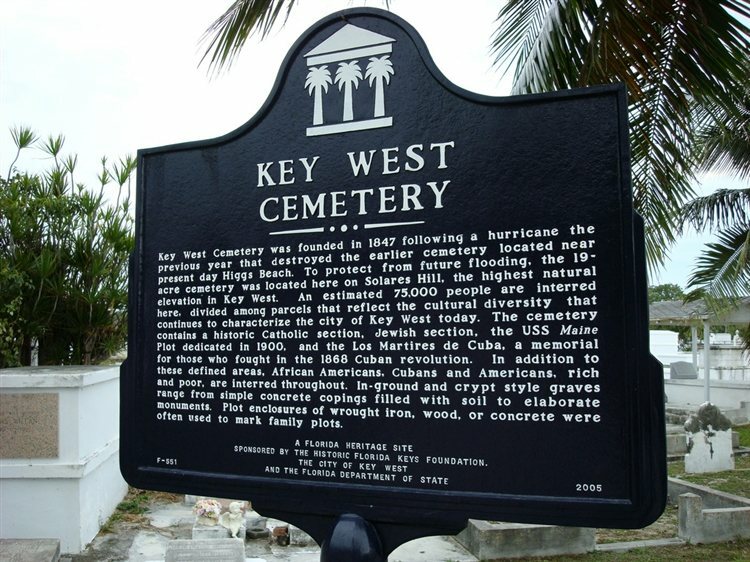 Although all cemeteries can be quite creepy, the Key West Cemetery is known to be a bit more eerie than others and has quite the history attached to it. The scenic location was founded in 1847 after a hurricane washed away the old cemetery, scattering the dead all over the forest. And according to The Florida Rambler, as a result of this, the oldest gravestones at the cemetery, which are built at the highest point in Key West, are actually older than the cemetery itself. They date back to 1829 and 1843 and were moved here after the hurricane. Situated on over 15 acres of land, the cemetery has a ton of space for paranormal happenings to occur. And rumor has it that the place is indeed a hot spot. A Bahamian woman's spirit is said to linger here, and sees herself as the guardian of the cemetery. She'll only approach you if she feels you're being disrespectful. Other occurrences include disembodied voices, shadows and strange orbs of light. Built in 1874, the St. Augustine Lighthouse is a popular haunted destination in Florida. 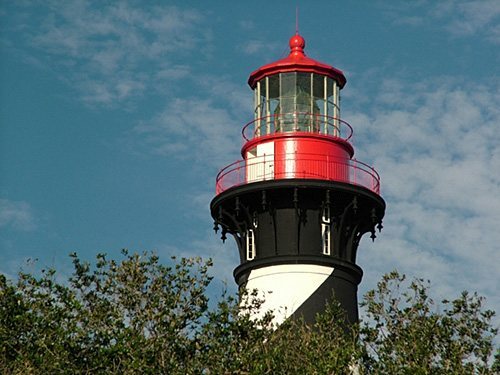 It is owned by the St. Augustine Lighthouse & Maritime Museum, Inc., a not-for-profit maritime museum and private aid-to-navigation and is located at the North End of Anastasia Island. The lighthouse has been featured on episodes of Syfy's Ghost Hunters and the programme My Ghost Story. Stories say that many have died in and nearby to the lighthouse, possibly being the reason for its haunting stories. On July 10th, 1873, a tragic accident took place while the lighthouse was being built. Five kids were riding along a type of cart that assisted in bringing in supplies and they fell in the water when the cart broke. An African-American girl, believed to be a servant, as well as two other girls drowned. Witnesses have claimed to see the girls swinging on the swing set that is on the grounds, and they can be heard laughing and playing. For those interested in taking a look around, the lighthouse offers special ghost tours! This small unincorporated community is located in Volusia County, just north of Deltona. It is mostly known for having a large number of mediums and psychics, and has even been dubbed the "Psychic Capital of the World." 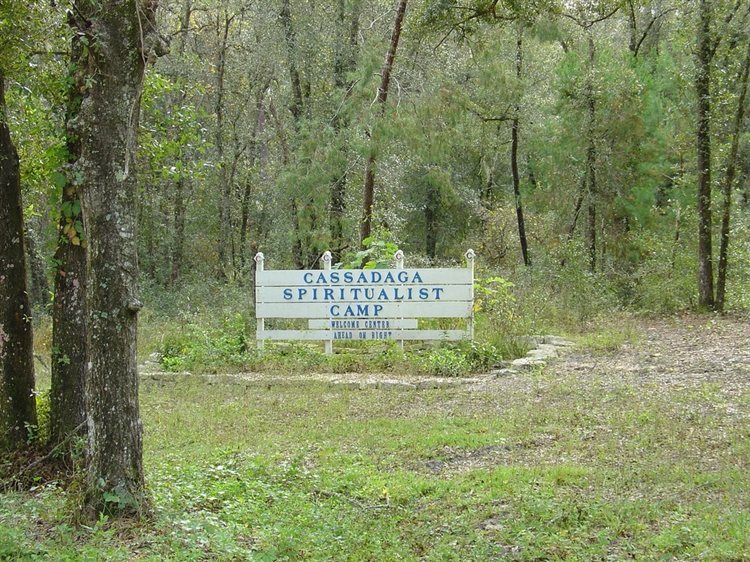 The area first began as The Cassadaga Spiritualist camp in the 1870s, when the Southern Cassadaga Spiritualist Camp Meeting Association was founded by George P. Colby, from Pike, New York, a trance medium who traveled to many different states, giving readings and seances. There are a number of places that are believed to be haunted in Cassadaga, including the Cassadaga Hotel, a Spanish-style building that dates back to 1927. This historic theater is located in the Franklin Street Mall and first opened its doors in 1026. It was added to the U.S. National Register of Historic Places in January of 1978 and has had some ghostly rumors surrounding the place. According to the theatre's official website, when the theater was first built, it was one of the most elaborate movie palaces in all of the country. It was designed by a famed theater architect, John Eberson, and like other downtown movie palaces like this lavish one, it was extremely popular when it opened. 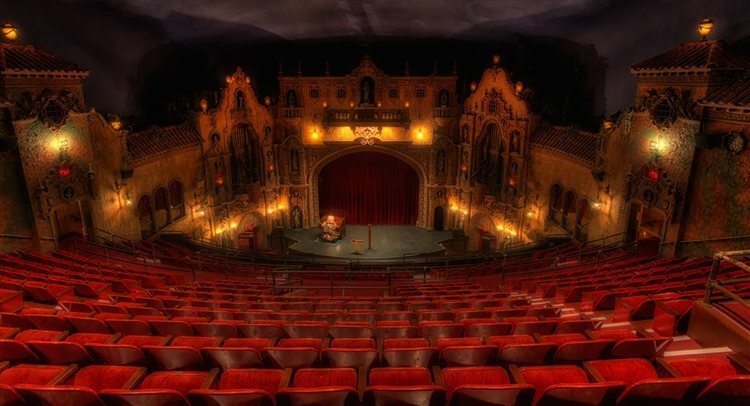 The theatre is managed today by the Tampa Theatre Foundation, a not-for-profit and is one of the most heavily utilized venues of its kind in the United States. Along with the location being popular because of its rich history, it is also a well known hot spot for paranormal activity. The building has been explored by paranormal investigators, and according to TampaBay.com, the most haunted spots in the theatre include the projection booth, where a former projectionist named Foster "Fink" Finley appears as a ghost, the mezzanine/balcony, where missing objects have reappeared, the auditorium/stage areas, where ghostly images have appeared, the lobby overlook/manager's office, where employees have claimed to hear keys jingling, and the lobby, where witnesses have heard chains being dragged and a chair moving. This is also the only place in the theatre where someone has died, a doorman. Known as Cape Kennedy from 1963 to 1973, this launch site on Cape Canaveral is where LC-34 and its companion LC-37 to the north were used by NASA from 1961 through 1968 to launch Saturn I and IB rockets as part of the Apollo program. It was also the location of the Apollo 1 fire, which took the lives of astronauts Gus Grissom, Ed White, and Roger Chaffee on January 27, 1967. The popular tourist destination is inactive as of right now, as its last launch was in October of 1968. 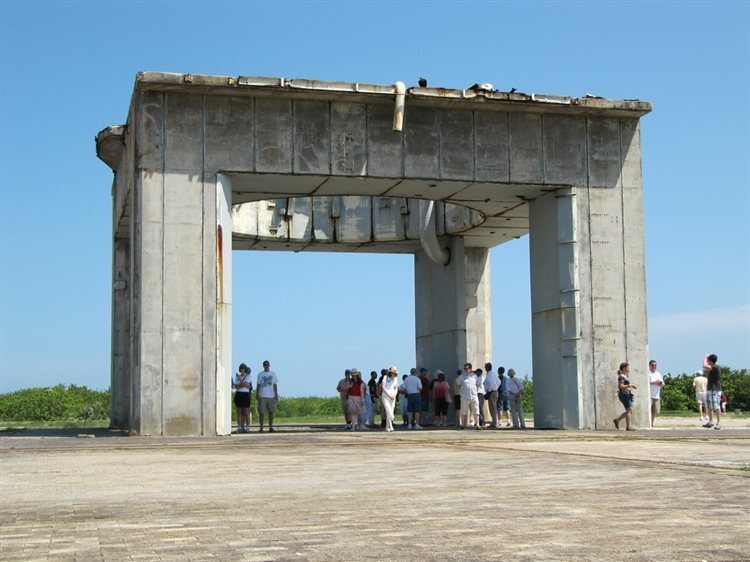 The spirits that are believed to reside at the launch site are the astronauts who died there during the fire in 1967. Many experience eerie feelings while near the launch site. This four-star hotel has been explored by TV's Ghost Hunters, who were drawn to the hotel after hearing stories from both visitors and employees that they claimed to sense a presence of some sort in the halls. The presence went from a misty woman wearing white to a man dressed in clothes from the hotel's 1920s-era, described by Major League Baseball players that were visiting. The book, Haunted Baseball, details the ghost stories in an entire chapter, stating that a Cinicinnati Reds relief pitcher Scott Williamson claimed to encounter a ghost at the hotel in 2003, along with members of the Pittsburgh Pirates and former Toronto Blue Jays reliever John Frascatore. Along with the presences, other eerie things to happen at the hotel include water faucets turning on by themselves, doors that open and close on their own and lights that flicker in rooms for no reason. 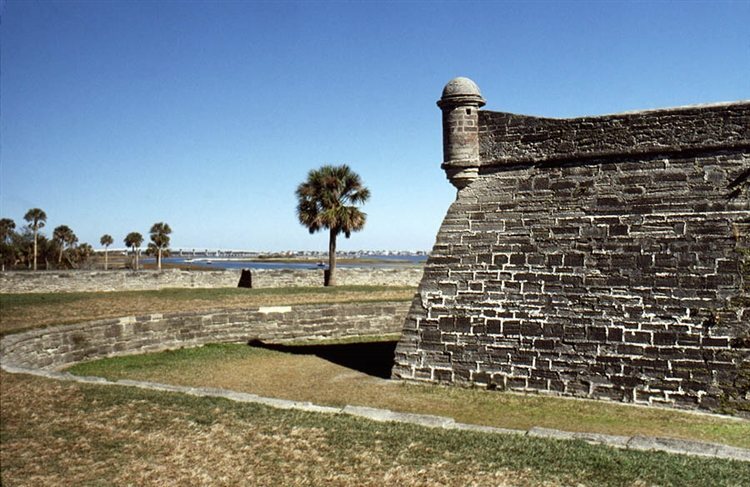 This fortress in St. Augustine is the oldest masonry fort in the continental U.S. and is located on the Western Shore of Matanzas Bay. The fort was designed by Spanish engineer, Ignacio Daza and boasts a sprawling 21 acres. It was listed as a U.S. National Monument in 1924 and then in 1966, was listed on the U.S. National Register of Historic Places. It was built in the 1600s, after its construction was ordered by Governor Francisco de la Guerra y de la Vega after the destructive raid of the English privateer Robert Searles in 1668. The site was deactivated in 1933 and was then turned over to the United States National Park Service. The fort's original name, Castillo de San Marcos was restored by an Act of Congress. It is believed to be haunted by the spirits of soldiers and the prisoners who were once locked inside. Click here to read about more Haunted Places in Florida!